Getting control over the notifications on your devices can be a relaxing situation. We are so inundated with alerts, banners, notification sounds, and other types of notifications on out phones and computers that it can be difficult to get work done. 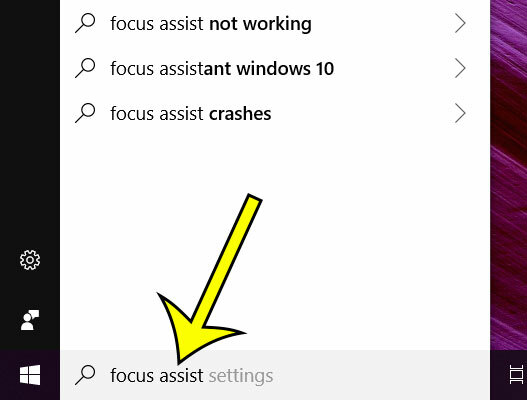 Your Windows 10 computer has a setting called Focus Assist that can help with this. By changing your Focus Assist settings you can have your computer only show you notifications from a curated lists of apps and sources, or you can choose to turn those notifications off completely. Our tutorial below will show you where to change this setting. The steps in this article were performed on a Windows 10 laptop. 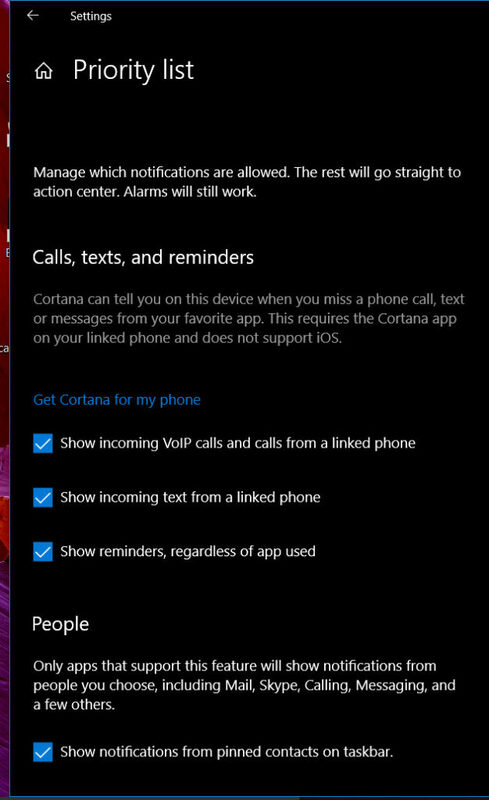 If you have previously synced a mobile device to your Microsoft Account then you will also be able to customize some types of notifications from that device as well. 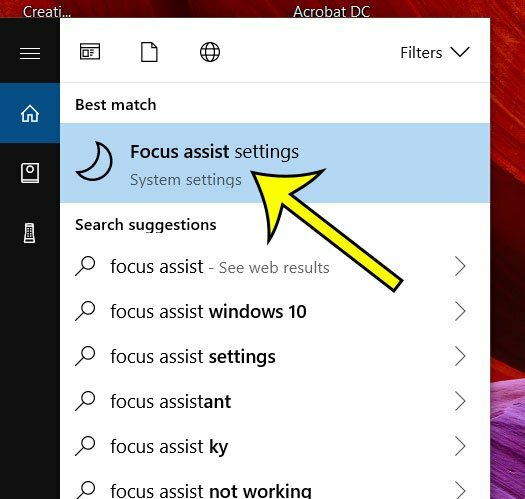 Step 2: Select the Focus assist settings option at the top of the list of search results. Step 3: Adjust the settings on this menu as needed. 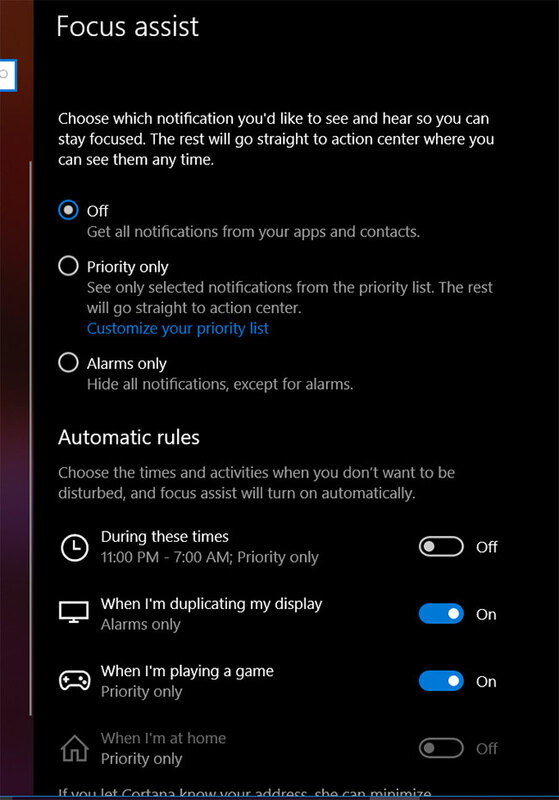 If you opt to receive notifications from some apps, then click the Customize your priority list option under Priority only. Here you can choose which types of notifications you would like to receive. It’s not visible in this screenshot, but if you scroll further down on this menu you will be able to add lists from which you would still like to see notifications. Interested in using the alarm feature that is referenced on the Focus Assist menu? Find out how to create a Windows 10 alarm if you think that it is something that can help you out.